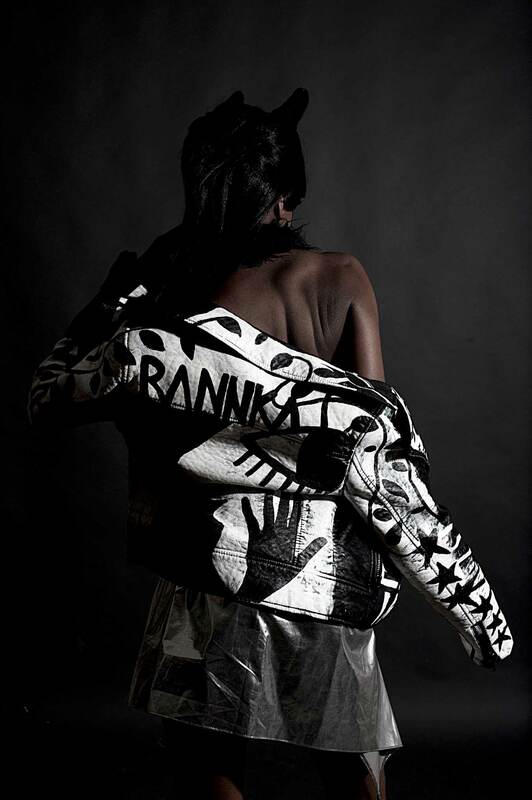 Rannka black and white hand painted jacket. Words by The Black Keys (lyrics) and segments from Eastern philosophy. Hand painted abstract leaves and words. The back is predominately covered with a big eyed face and a tiny hand. This is a great quality faux (vegan) leather, thick, sturdy and with grainy texture. The jacket is lined, with functional pockets and silver hardware. Each jacket is signed and numbered, one of a kind.